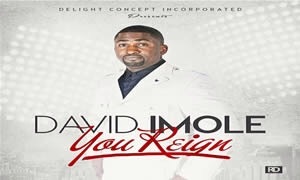 Delight Concept Incorporated presents New York singing sensation worship leader, song writer and music producer David Imole much awaited worship single titled “You Reign”. He came through on this Agboola Shadare produced new song which promises to rock speakers and airwaves. Listen up, enjoy and share your views.